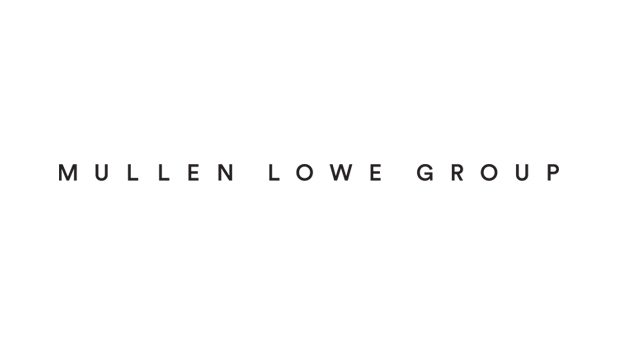 Interpublic Group (NYSE: IPG) announced today that Mullen and Lowe and Partners will join to form MullenLowe Group, a creatively-driven global agency network with a strong, shared entrepreneurial heritage and challenger mentality. MullenLowe Group combines two of the most highly-decorated and innovative agencies in the world and reinforces IPG’s commitment to growing a third global full-service network within the company’s portfolio. Alex Leikikh, previously Mullen’s CEO, has been named Worldwide CEO of the new MullenLowe Group. Michael Wall, the Lowe and Partners CEO, helped create the roadmap for today’s announcement and has decided to leave the company after a brief transitional period. The executive leadership team for the new entity will be drawn from both companies and across world markets, with Jose Miguel Sokoloff continuing in his position as Chairman of the Global Creative Council. In the U.S., MullenLowe Group will oversee Mullen’s offices in Boston, Los Angeles and Winston-Salem, which will re-brand as MullenLowe. The fully-integrated digital capabilities of the Lowe Profero agency in New York and Mullen’s award-winning integrated media unit,Mediahub, will report into MullenLowe Group. In addition, MullenLowe Group will open an office in New York. In the U.K., MullenLowe Group will oversee DLKW Lowe, as well as Lowe Profero and Lowe Open in London. Campbell Ewald and its clients will continue to access the international network as required. The agency – with offices in Detroit, San Antonio, New York, and Los Angeles – will operate independently within the MullenLowe Group. All Lowe agencies in key international markets will report to MullenLowe Group and Mr. Leikikh. Plans are in place to migrate agencies to the MullenLowe branding for the bulk of Lowe’s current international markets as appropriate over the course of 2015 and 2016. In recent years Mullen has been selected as a Fast Company Most Innovative Company, a three-time Advertising Age A-List Agency, aCreativity Innovator of the Year, and one of Forbes Magazine’s Ten Great Ad Agencies. In 2014, Mullen won six Cannes Lions, an Emmy Award, and was ranked as the #6 U.S. and #15 worldwide agency for creative achievement by the prestigious One Club. In addition, Mediahub, Mullen’s media planning and buying unit, was recognized as the Full-Service Agency of the Year by Mediapost in 2014. Lowe and Partners is ranked in the top ten Cannes Lions Creative global networks and the fourth Most Effective Agency Network Globally in the Effie Index. Lowe SSP3 was named the International Agency of the Year by Advertising Age in 2013, the first agency in Colombia to receive that honor, and Lowe Lintas in India was the publication’s International Agency of the Year runner-up in 2014. In the WARC 100, an annual ranking of the world’s best marketing companies and campaigns, based on their performance in effectiveness and strategy competitions, Lowe Lintas India is the number one Creative Agency in the World, and the Lowe Network is ranked fourth in the Top Agency Networks in the World. Interpublic is one of the world’s leading organizations of advertising agencies and marketing services companies. Major global brands include BPN, Craft, FCB (Foote, Cone & Belding), FutureBrand, Golin, Huge, Initiative, Jack Morton Worldwide, MAGNA GLOBAL, McCann, Momentum, MRM//McCann, MullenLowe Group, Octagon, R/GA, UM and Weber Shandwick. Leading domestic brands include Avrett Free Ginsberg, Carmichael Lynch, Deutsch, Hill Holliday, ID Media, and The Martin Agency. For more information, please visitwww.interpublic.com.